Recent police raids in the Czech Republic as well as research by the international animal welfare organisation FOUR PAWS show that tiger trade is not only an issue in Asia: The lucrative commercial trade with a highly protected species and their parts is happening right in the centre of Europe as well. On Monday 15th July the Czech police along with custom officers raided properties in Prague and in central and northern Bohemia in suspicion of illegal killing of tigers and possession of tiger products. Today on the 18th July the Czech authorities announced that they seized a recently killed tiger at one of the properties and that one of the suspects was processing tiger bones and other tiger products. The suspects were shooting the tigers in the eyes to not damage the skins and that the tigers were killed and used to make tiger broth. Furthermore, the Czech authorities also raided the Vietnamese market, Sapa in Prague and discovered tiger meat and products on sale. One of the target facilities raided this week belonged to well-known circus leader, Mr. Ludvik Berousek. 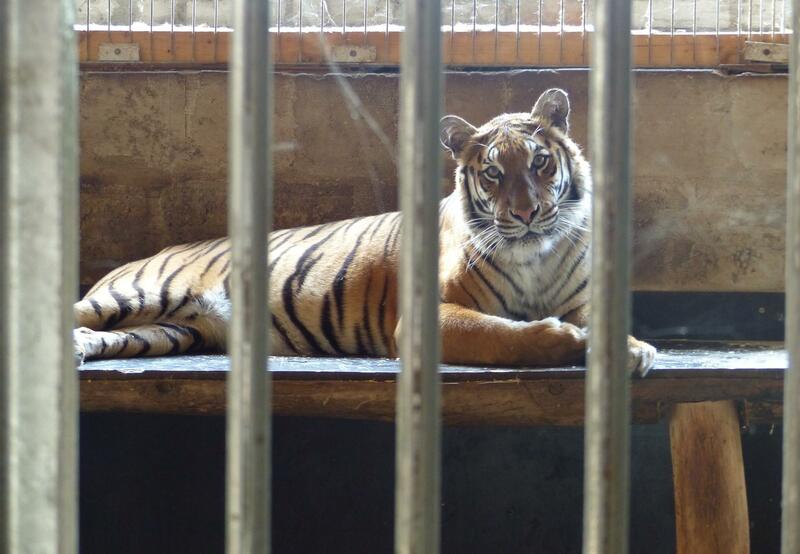 FOUR PAWS research conducted in June show a meeting with Mr. Berousek where he proudly showed his tiger breeding facility near Prague and discussed the sale of tigers to Asia. (Footage of this is available via download link) Mr Berousek offered to sell the tigers to Asian buyers and to help facilitate the documents and transfer and boasted that he had already sold tigers to China in the last three months.